…sounds similar? Well, whenever we put on a few kilos or gain weight, we either blame it on our eating habits or some or the other occasion or genes for that matter, but seldom do we understand that these extra kilos on our body could signify or herald the beginning of a lifelong disease like Thyroid. Sounds astonishing, right? Well, recently, I was invited to the Thyroweight Bloggers’ Meet at JW Marriott, Juhu, Mumbai to be enlightened about the concept of Thyroid and I must say, that prior to the meet, I didn’t knew so much about this disorder. I either associated it to the lifestyle or the most common culprit of all- Stress. But mind you, it is more than that! 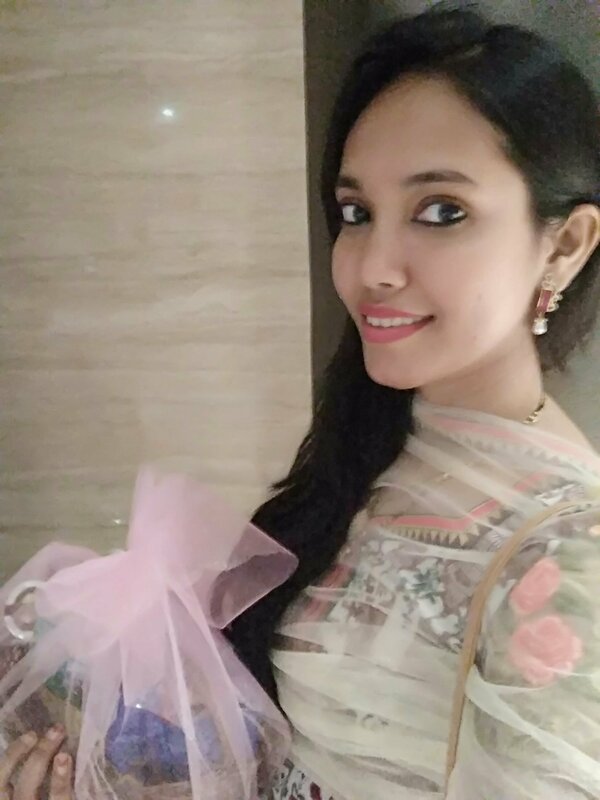 The event began with a warm welcome by Sayanti Banerjee addressing us ladies to the entire session. Later, we had Dr. Shehla Shaikh to discuss in detail about the Disorder. I had already worked with her on webinars during my first job as a Web Designer and know her work closely. She has been an incredible doctor in her field. I was surprised to know that “1 in every 10 Indians are afflicted by Thyroid” where it has rapidly now become the 9th most common disorder/disease in the world. After listening to this, I was simply aghasted to know about this rare condition which is an autoimmune disorder and persists for a lifetime. The Doctor further added that a person suffering from Thyroid need to take the medication for a lifetime to maintain their lifestyle. She further added that it is not dreadful and one must not be afraid to undergo diagnosis because a single pill a day can lead to one leading a normal lifestyle like any other person. It was really such an enlightening session with the Doctor and we also had a Q&A session with her where many women addressed their ailments and doubts. She patiently address them all. 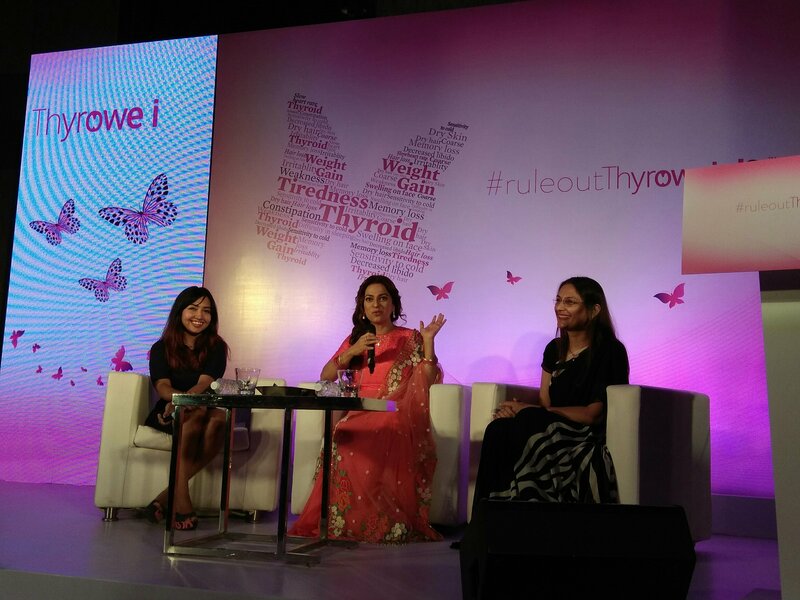 Next up, we had Actress Juhi Chawla to help throw light on Thyroid and share her views. She looked ravishing like forever and we were mesmerized by her beauty for sure. 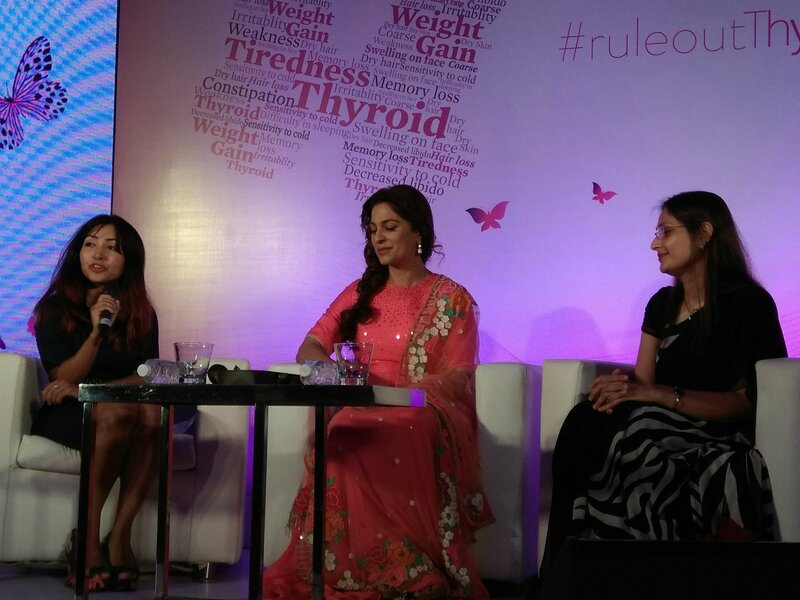 Juhi Chawla however was immensely sweet to us and addressed us all with a single message, that as bloggers, we must help spread the message and awareness of this rapidly growing disorder among the masses and educating them on how they can improve their lifestyle by getting them diagnosed for Thyroid if they see or experience any symptoms. She further added that her Husband himself suffers from this disorder and that doesn’t stop him from trekking a renowned South African mountain because he simply takes his medicines on time and doesn’t skip them. I believe this meet was indeed an enlightening and interesting one for me, as I learnt so much about this disorder and the stigmas associated with the same. My message to them will be to live their lives to the fullest and take their medicines on time! Are you suffering from Thyroid disorder? What are the symptoms that persist on you because of it? Are you leading a life-to-the-fullest while you take your medications properly? Share your experiences and views in the comment section.